Another previously unknown Fergus Mackain postcard has been discovered by a collector. 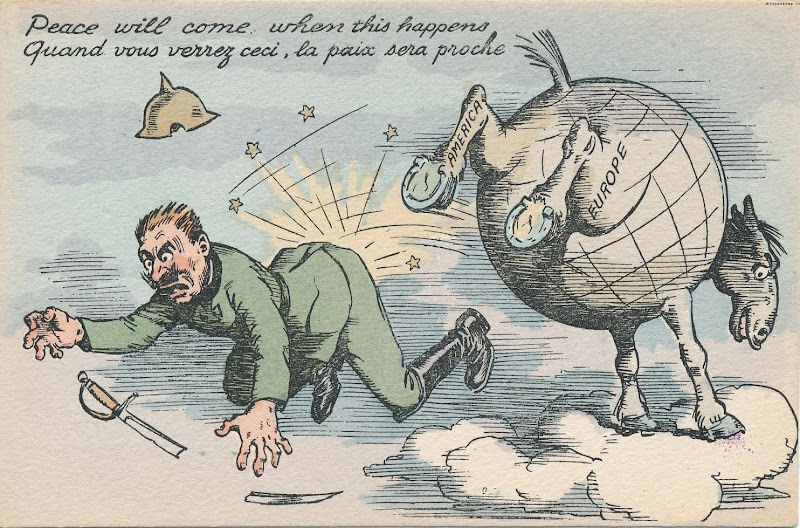 The card, a cartoon of Kaiser Wilhelm being kicked by a horse, is very similar in style and content to Mackain's "Kamarad" and “Boule-Dogue” propaganda postcards. Unusually, this one does not feature Mackain’s signature, but the artwork, coloring, and use of both English and French language are consistent. A literal translation of the French is “When you see this, peace will be close”. The horse’s legs have the words “AMERICA” and “EUROPE” on them, and its body is in the shape of a world globe. 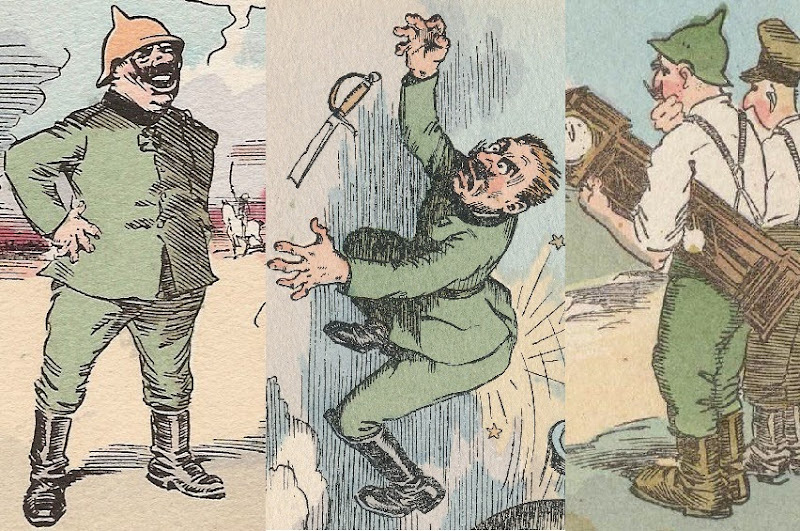 The date on the reverse of the new postcard – 20-11-17 – is the same as the other “Kaiser” cards, and all are printed by Gaultier, which continues to indicate that a series of propaganda cards featuring the Kaiser was created by Mackain. Whether this a series of 3, 6, or more is still unknown. Details from the three “Kaiser” cards discovered so far.